I have to say this is a great pic for a Christmas book. It addresses the "issue of Santa" carefully. 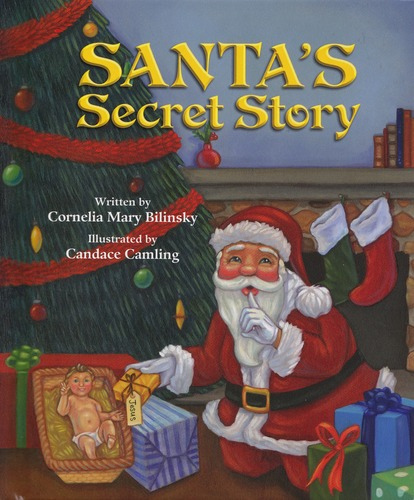 It does not say "Santa is real", but it brings the reader to learn the story of Saint Nicholas. Before the story there is a beautiful Prayer to Saint Nicholas and after the story there is a brief biography of his life. I "field tested" this story with my 4 children (ages 4-9) and they said they, "Loved it". Their favorite part was finding out "Santa's Secret". I also tried it on my 2nd grade catechism class and they enjoyed it as well. Win, win everywhere. Again, a good story. Solid dialogue, easy for a child to understand, and not cheesy. This review was written as part of the Catholic book reviewer program from The Catholic Company. Visit The Catholic Company to find more information on Santa's Secret Story. They are also a great source for a Catechism of the Catholic Church or a Catholic Bible.